This beautiful Hardanger panel is based on traditional-style Hardanger designs. Traditionally, Hardangersøm (or embroidery from Hardanger) was worked in white thread on white linen. 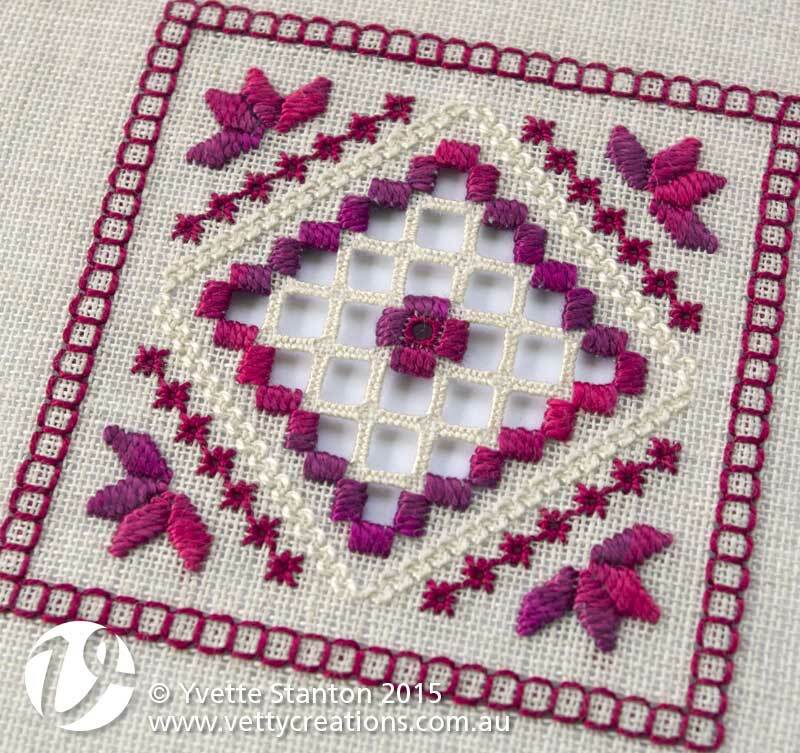 This design is worked in rich raspberry colours, and shows that traditional-style Hardanger has contemporary appeal. This pattern is also available in a blue green colourway.